This is the Hot Racing 90mm Aluminum HD Big Bore Shock Set. 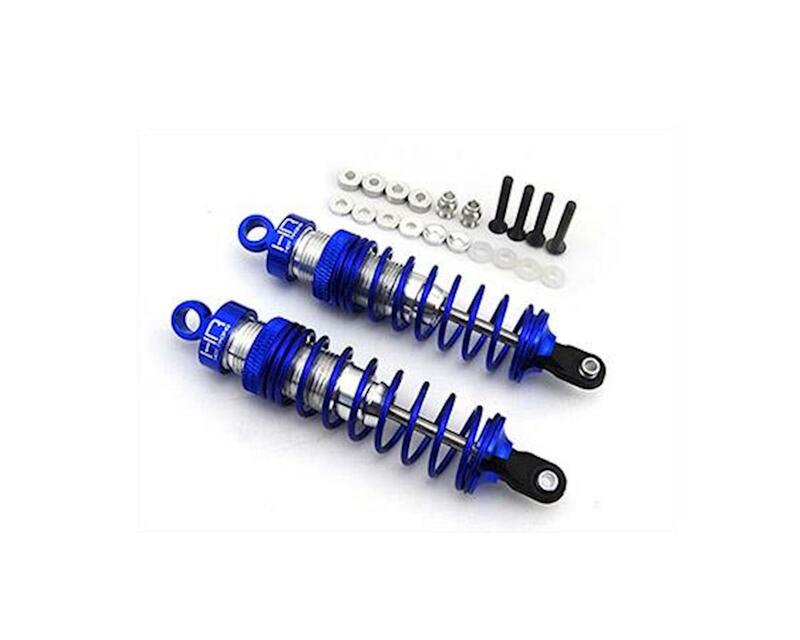 These big bore threaded body aluminum shocks fit many 1/10th scale off-road vehicles using 90mm shocks. Some applications include, but are not limited to: many 1/10th scale truck and buggy front shocks; the Traxxas Bandit front, Nitro Rustler/Slash/Sport/Stampede front, Rustler front, Slash 2WD front, Slash 4x4 front, Stampede 2WD front, Stampede 4x4 front; and and other similar vehicles.